While searching for the most suitable long-term care options for aging parents or relatives, families are bound to come across assisted living facilities and memory care units. These cater to different categories of the elderly population, which is the reason it is important to do homework thoroughly before settling on either option. It is something that will ensure senior citizens end up residing in a place that will allow them to enjoy the rest of their post-retirement years in an environment that can take the best care of them. Many people believe assisted living (AL) and memory care (MC) to be synonymous. It is perhaps because a majority of caregiving facilities near you nowadays have separate units where they specialize in taking care of seniors who have memory care needs that include Alzheimer’s and dementia. To understand these senior care options better, here is a detailed explanation of how dedicated memory care communities as well as assisted living facilities function, and who they are best for. These are residences that attract retirees who are still independent but cannot complete one or more activities of daily living (ADLs). It can include things like using the bathroom, toilet, grooming, cooking, feeding, taking a walk, and incontinence. Caregivers here also help with other tasks such as medication management, transportation, financial assistance, and recreational events and activities. Note that older adults who have signs of early Alzheimer’s will be comfortable here because there are caregivers always present to help them in any way and can provide assistance in their daily living activities. These make the perfect residences for older adults who have memory impairments such as Alzheimer’s disease and various forms of dementia. They are well-equipped to offer an adequate level of skilled care and supervision. At times, they are present in assisted living communities as a separate wing or may even be parts of nursing homes. A few operate as stand-alone entities, most commonly referred to as memory care communities. Trained staff look after the residents around the clock to meet their unique demands and needs. Many patients move from assisted living homes to memory care facilities or separate memory care sections after their medical conditions escalate and the staff at their former residences can no longer look after them properly. Finding memory care facilities near you shouldn’t be difficult because many senior living facilities cater to individuals with memory care impairments. Many of the services memory care facilities offer are similar to the ones that retirees find in assisted living. Memory care communities, however, have additional services and activities that help to stimulate the memory of the aged adults and make sure they are always comfortable, safe, and relaxed. Residents of memory care facilities also take part in various events and activities that help slow down the progression of the diseases. These can include appropriate memory games, music, arts and craft. Architectural designs of facilities that look after residents with memory care issues are usually put done in such a way that meets the specific needs of those with dementia or Alzheimer’s. Unlike the standard senior housing near you, a majority of memory care facilities do not have kitchenettes for occupants as a way of keeping them out of harm’s ways. It also helps to keep stress levels at a bare minimum. Memory care communities put greater emphasis on security based on the fact that the population they take care of are known to wander and get lost without knowing where they are because of their current condition. Many memory care communities feature secure outdoor areas that inhabitants can use to enjoy the outdoors, the sunshine or to breathe in fresh air without getting off the property and probably getting lost. Most memory care communities will make arrangements to make sure that all inhabitants have tracing bracelets so that they can alarm them in case a person goes too close to the exit. Other measures they put in place include locking up dangerous items like laundry detergent, shampoo and mouthwash with alcohol. Dementia patients have tendencies to become confused and sometimes aggressive. To assist with these issues, memory care communities where seniors spend most of their time project a calm and relaxing atmosphere. Shared rooms can feature colorful, bright painting, have plenty of natural light, may have a fish tank and other features that help in calming nerves. Certain areas may also be specifically color-coded so that the residents have an easier time to identify areas such as bathroom and others. Chefs who work in memory care communities put extra effort to prepare appetizing, nutritious, and well-displayed foods to entice patients to eat, since many dementia and Alzheimer’s patients may have a loss of appetite at one point or another. The experts are flexible with the dishes they present, most of the time contrasting color in food so that they can keep members of the older generation interested. When comparing the physical structures of assisted living and memory care, assisted living facilities are more like residential units. Even though they also make sure that they provide a secure environment for the aged adults, the level of security generally does raise to the level of memory care facilities. Residents in assisted living, in most cases, can come in and go without causing alarm because “they know what they are doing.” Many assisted living communities also allow inhabitants to decorate and furnish as they wish so that they can reside in an environment that they find pleasing. Layouts in both assisted living and memory care also have unique designs that get rid of clutter as well as things that can make the elderly trip or fall. Both memory care communities and assisted living facilities also include numerous apartment modifications that address safety concerns, which minimizes the risk of injuries. Residents in assisted living facilities normally have plenty of freedom when it comes to their day to day schedule. They can decide what they want to involve themselves in and when not to take part in the events that their communities plan. This is different in memory care units as compared to assisted living, since the retired adults staying here are usually not highly independent. In fact, a majority work with rigid scheduling. It is because patients do well with routine since unfamiliar environments end up stressing them out and can cause confusion. Both assisted living and memory care long-term care options have professional staff who help out the residents. In assisted living, caregivers usually go through training that allows them to help patients with daily living activities. Their skills help them to support retired adults to complete tasks like taking a bath, choose an outfit and wear it correctly, groom, walk, eat, and use the toilet. They also have nurses who help with various medical needs like looking after wounds, setting up doctors’ appointments when necessary, injections, medication administration, and making sure that senior citizens are healthy. Staff members who work in the memory care communities or units also go through training sessions that are comparable to those who work in assisted living facilities. They still have to take care of the patients and offer them a hand whenever they are in need with their daily activities. The difference comes in where personnel in memory care communities have to go through specialized training to understand how to correctly deal with the elderly who have dementia and similar memory issues. Training covers various topics like how the condition manifests, how to respond to it, some of the behaviors that patients exhibit, and how to communicate well with the people they are responsible for. Most memory care facilities organize for on-going training which helps the expert caregivers to keep their skills up to date. It is essential because they benefit from a platform that educates them on any changes or progressions that have been introduced in regards to handling Alzheimer’s or dementia. Because of the specific needs that patients in memory care facilities have, they must have higher personnel to patient ratio as compared to residents of assisted living facilities. An ideal number would be where one caregiver looks after after five patients or less. Sadly, it is not something that the federal government controls. Thus, in most cases, the facilities decide on the number of staff members who are in the communities, however there are still state-specific rules and regulations. Keep in mind that at times even the most adequately staffed and well-run memory care residences may still not offer enough care to particular individuals. In such an event, it would be best for family members to seek additional help – preferably a dedicated daily caregiver and bare the extra costs for their loved one to receive additional care a few hours every day or once in a while, depending on what their requirements are. There is no clear distinction between assisted living and memory care in regards to the total number of residents they hold. There are various sizes of both senior care housing options. Some only have less than ten residents while some larger assisted living and memory care communities may have hundreds, though there it may be hard to find memory care units that look after more than a hundred older adults. The size of a community that an individual chooses depends on the type of environment they are most comfortable with. Some seniors appreciate an intimate kind of setting where they interact with a few people while others thrive in places where there is much social interaction. For both assisted living and memory care options, what residents pay depends on numerous variables. These can include the location, whether one lives with a roommate or alone, and level of care that a person demands. On average, one can expect to pay around $4000 monthly for staying in assisted living. Thanks to the extra attention that older adults receive in memory care facilities, they could end up being more expensive than assisted living. Fortunately, some elderly residents can take advantage of various options to help reduce the out of pocket costs and pay for assisted senior care. These include Medicaid, Medicare, and Veterans benefits. Aging individuals can expect to spend around $5000 every month to cover rent and care services in memory care units. Both memory care facilities and assisted living communities encourage family and friend involvement in the lives of the elderly who live in the establishments. It is comforting for retirees to know that the people they love do not just dump them in the facilities just to visit them once in a blue moon. Both assisted living and memory care facilities have WiFi, allowing residents to communicate with other people who are not members of their community. They also allow friends and family members to visit often and play a role in taking care of the aged adults. It is especially great for the elderly in memory care units because they can help stimulate memories or even create new ones that the senior citizens appreciate. In a majority of cases, people can even sleep over and share meals as long as they make the necessary arrangements with the administration. Inhabitants in assisted living facilities can at times visit the people they love away from their communities. In a majority of cases, it is not possible for the ones in memory care units to move around freely, which is for their good. It may therefore not be possible for them to visit their relatives away from the community, although proper arrangements for this can be made ahead of time. They can also spend time with their loved ones inside the communities to enjoy their company and get to know what is happening in their lives. Should I look for Assisted Living Memory Care near me? When dementia or Alzheimer’s is not an immediate concern and a senior is still somewhat independent, assisted living will be an excellent choice. 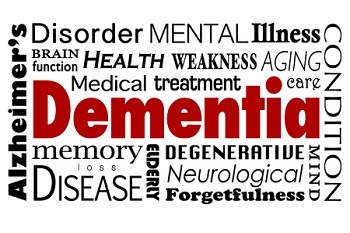 However, consider memory care if a loved one needs complex care that is associated with memory impairment so that they can receive the proper care they require. Regardless of the option an individual picks, do not just settle for the first facility that you come across. Take time to find out the services the senior care residences offer, get input from other retired adults who have stayed there, and do everything possible to make sure that you (if looking for yourself) or your loved ones end up receiving the best care. Do not be scared to move from one residence if they are not meeting the needs of the older adults. Although moving can create some temporary imbalance in your loved one’s life for a short period, they will end up in a community where they fit in right. When dealing with memory care communities, it is advisable to find the ones that do not have high turnover rates of staff members. If a patient who has dementia has to keep bouncing from one caregiver to the next, it may cause a lot of confusion in their life. However, if they are working with the same people, it could be beneficial for their health as they spend time with a professional who they can confide in and trust to meet their needs in a professional yet friendly manner.